Your Child Lacks Focus? Worried It’s ADD or ADHD? What to do? ADD/ADHD are part of normal development. Are you tearing your hair out over your child’s lack of focus? Are teachers urging you to turn to Ritalin or Adderal or Sonata? Concerned that grades will suffer and good college options are going out the window? It’s time to dig deeper into what is going on. 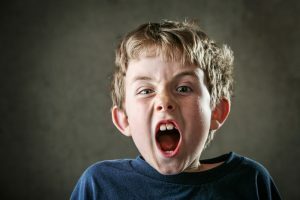 There is one extremely important question to ask before going down the rabbit hole: When your child has a project of his own choosing (or hers, but this issue does indeed apply more to boys than girls) — lets say a Lego project or a Harry Potter book or building an airplane model — can he focus then? If so, then the process is simply developmental, and not really a disease like ADD or ADHD (= Attention Deficit Disorder or Attention Deficit Hyperactivity Disorder). Of course, there are kids and adults who actually do have ADD or ADHD. My estimate, based on experience in practice, is that these represent less than 5% of those who are suspected of it. These are people who are truly motivated internally but then get frustrated in accomplishing their goal. ADD and ADHD are vastly over-diagnosed not only by parents and teachers, but many professionals as well. This happens because of two powerful forces: 1) classroom sizes that are too large, causing heightened need for behavioral discipline; and 2) availability of pharmaceuticals that do incrementally improve focus. Teachers do attend seminars where symptoms of ADD and ADHD are described: short attention span, forgetting homework assignments and jackets, easy distractibility, daydreaming, disruptive behaviors and movements, good focus during video games, etc. Then they are told about Ritalin, Adderal, Sonata, etc. Parents frequently go online and defer to the teachers’ expertise. Unfortunately, the pharmaceuticals work only a bit and do have side effects. In the long run, an adverse effect comes from teaching students to deal with their life problems using drugs, which can encourage addictions later in life. Educators and parents need to learn some basic, well-known neurobiology! The brain’s development proceeds from the back to the front as the child grows. The frontal lobe is the last to develop. In girls, the process is completed in early 20’s. In boys, it completes around age 25! Such a lag in development, combined with classroom’s designed by adults whose frontal lobes are fully developed, explain focus and behavioral problems causing all the ruckus! Prefrontal Lobes take nearly 25 years to mature! 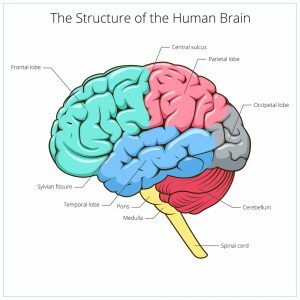 Frontal lobes are responsible for certain specific motor activities, so hand-eye coordination and some fine motor coordination might be slow to develop. More importantly, frontal lobes have the highest concentration of dopamine-sensitive neurons in the entire brain! Such neurons are responsible for reward, short-term memory tasks, planning, and motivation. These are called Executive Functions. In addition, the rear part of the frontal lobes are located immediately next to — and closely connected to — the thalamus. This is the more primitive portion of the brain from which arise basic instincts and emotions. Therefore, when frontal lobes are not yet fully developed, impulsive and instinctual emotions reign! Sound familiar? This is why even teenagers don’t keep track of homework assignments or remember to turn it in. They are not thinking ahead. Getting into a good college is too abstract for them to understand as a motivation. So getting grades seems like something to do to avoid getting in trouble, or maybe to compete with their peers — not to pile up credits for college applications. For them, routine schoolwork is boring! You say, “Why do other kids stay focused on their homework?” Mostly this happens because of the thalamus itself. If their parents put pressure on them, they fear punishment, or they take pride in being the best. This behavior can be trained in the same way you can train a dog to do tricks, The thalamus is a primitive of the brain and can be trained accordingly. Bottom line: ADD and ADHD are not pathologies, but simply a normal developmental process. Educators need to alter teaching procedures to encourage games and challenges that teach with embedded learning, especially involving physical activity! Parents need to be patient and not panic over their child’s creative lack of attention!